This vivid and electrifying art piece was created by a dedicated artist, assembling a unique and dynamic expression. 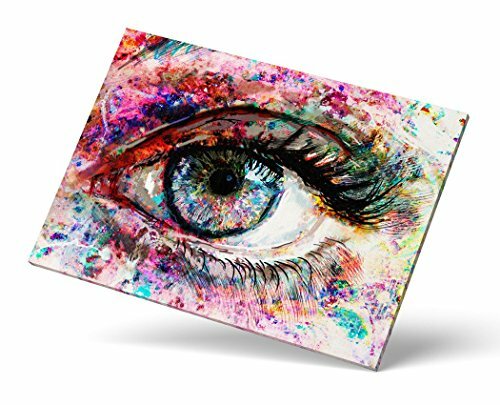 CANVAS PRINT: Vibrant hues printed on genuine Artist Canvas wrapped around a 1" thick frame present a true gallery-wrapped graphic for your home or office. Artist Canvas provides a museum-quality matte finish with the canvas texture we all love. Very easy to hang. Ships ready-to-frame in a sturdy, impact-resistant shipping tube. Archival-grade photographic luster posters are a wonderful way to liven up any room! Art always makes a great gift, especially when it's for yourself. We don't source from overseas, we manufacture all Castle & Rye products here in the USA. Frame not included. 100% Satisfaction Guarantee! We're always available if you have questions. If you have any questions about this product by Castle & Rye, contact us by completing and submitting the form below. If you are looking for a specif part number, please include it with your message.